I never had Hama/Perler beads as a kid but I bought some recently and they are a tonne of fun! 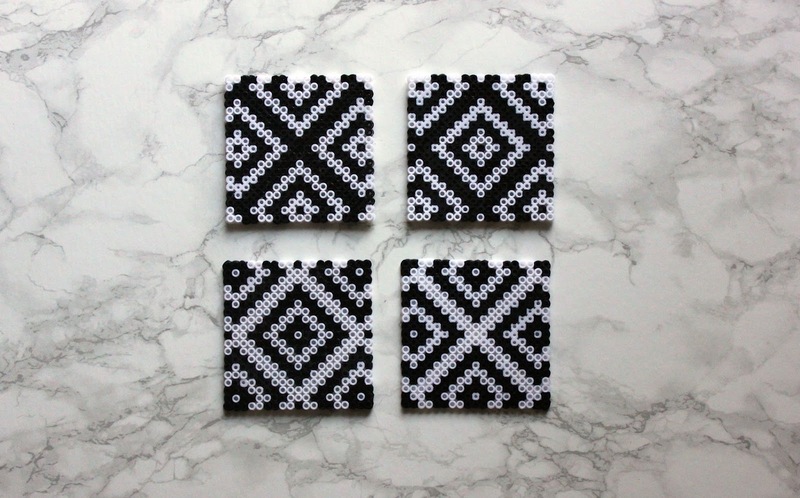 I wanted to make something pretty but also functional so decided on some coasters. 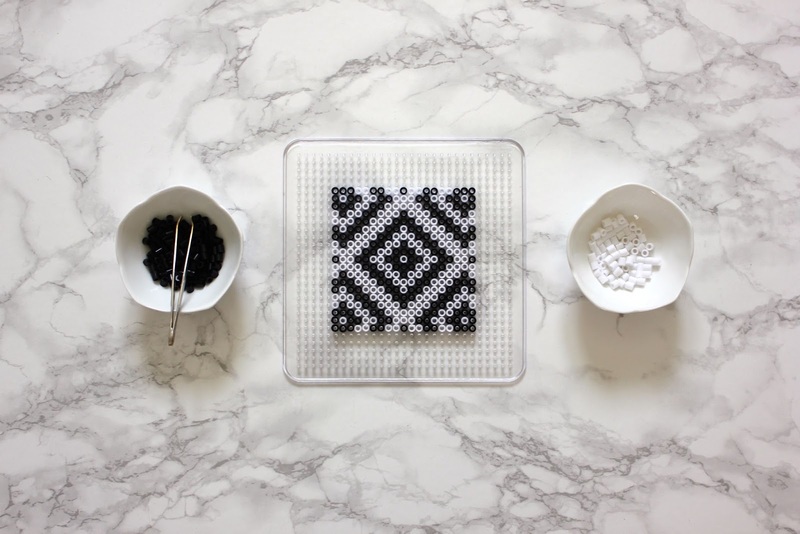 Arrange the beads on the pegboard in the pattern or image you want on the coaster. When deciding on the pattern or image, Pinterest is your best friend! 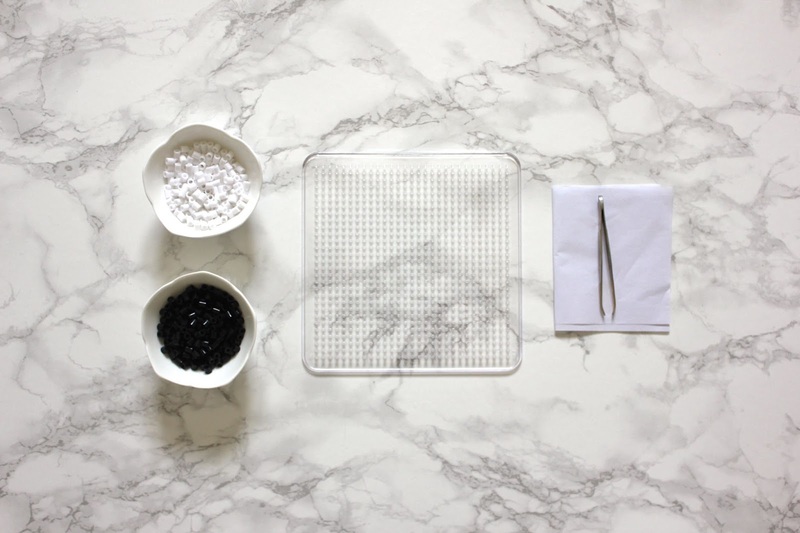 You can get different shaped pegboards - I think the circle, square or hexagon shaped ones are great for coasters. This step might be a bit fiddly and tedious - I used tweezers to make it easier and did it while watching trashy tv. 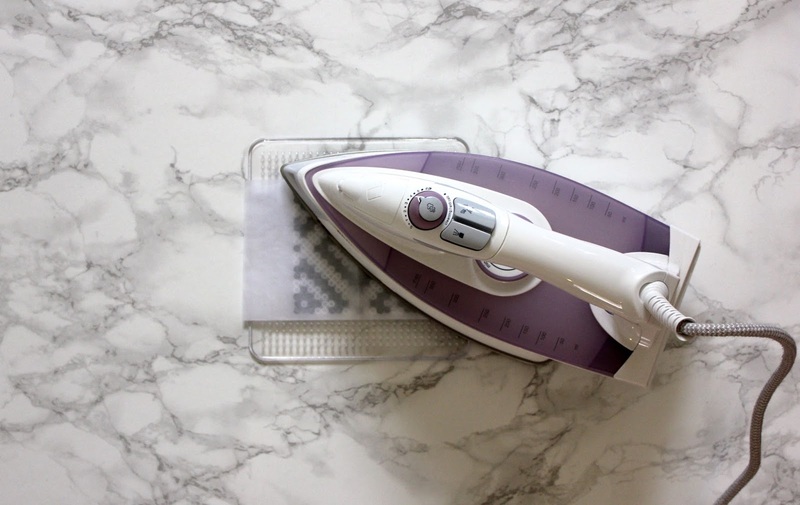 Place the iron on paper over your design and iron smoothly over the beads with a hot iron until the beads have fused together. 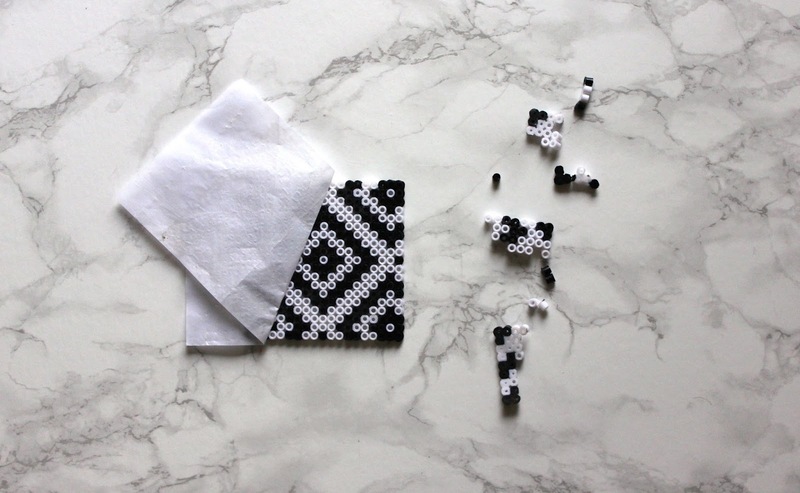 Let it cool right down and then peel the iron on paper carefully off the beads. I then put the iron on paper over the other side of the coaster and ironed that side as well - put a hard surface underneath so it irons nice and flat. I found it a bit hard to get the ironing even so it might take a few attempts if you haven't used the beads before. No shame - I messed up three attempts! As a final step, you might want to glue felt to the bottom side of the coasters so they don't slide across surfaces. Otherwise that's it!